On July 20th 2015, a new update for Visual Studio 2013 by Microsoft became available for download. Visual Studio 2013 is an integrated development environment from Microsoft with a comprehensive collection of developer tools and services, used to create apps, as well as web sites and web services. The latest update features cumulative series of technology improvements and bug fixes to enhance and expand both Visual Studio 2013 and Team Foundation Server 2013 to support the latest software development innovations for building and managing modern apps. If you would like to try something new, the new Visual Studio 2015 has also been released on July 20th 2015, together with .NET Framework 4.6. You can download it here. 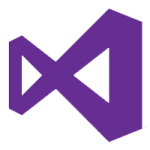 If you wish to learn more, a detailed description of the update for Visual Studio 2013 can be found here. Please note, that the Visual Studio 2013 RTM will only be supported for one year after this update, then it will be discontinued.